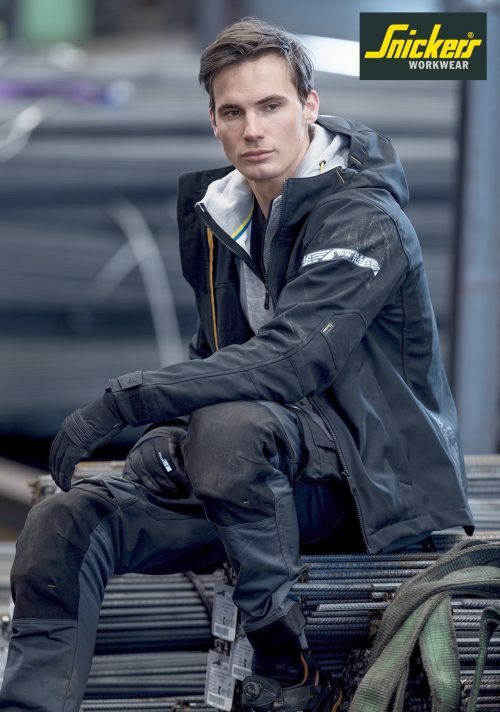 In its quest to continually improve its range of working clothes, Snickers Workwear has introduced new stretch work trousers and hi-tech jackets. Designed to offer a good fit and value for money, the brand new comfort fabrics woven into Snickers’ newest street-smart work trousers deliver enhanced freedom of movement, along with improved comfort and close-quarter mobility. They’re complemented by a new, hi-tech range of AllroundWork and FlexiWork jackets. They include 37.5 fabric technology garments for working comfort as well as others that are 100% waterproof, in addition to hi-vis working clothes for tradesmen and women that deliver maximum warmth, dryness and visibility when it’s needed most. Snickers believes that no matter what the working environment or weather condition, these jackets and trousers are a perfect combination.